MKSS, Devdungri, Rajasthan. 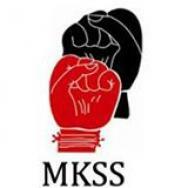 Mazdoor Kisan Shakti Sangathan (MKSS) is a grassroots organization that was formed in 1990, working in rural Rajasthan. Its objective was to use modes of struggle and constructive action for changing the lives of its primary constituents — the rural poor. In the period leading up to its formation it had taken up issues of re-distribution of land and minimum wages. CIS, Bengaluru, Karnataka. The Centre for Internet and Society (CIS) is a non-profit organisation that undertakes interdisciplinary research on internet and digital technologies from policy and academic perspectives. DEF, New Delhi. Digital Empowerment Foundation (DEF) aims to connect unreached and underserved communities of India in an effort to bring them out of digital darkness and empower them with information access through last mile connectivity, digital literacy and digital interventions. IT for Change, Bengaluru, Karnataka. IT for Change seeks to promote innovative and effective use of information and communication technologies (ICTs) for socio-economic change in the global south. Current ICTs for Development approaches tend to over-valorise technology. They bring ideologies of market fundamentalism to development, replacing the cornerstone ethics of participation, social justice and gender equality. NCPRI, New Delhi. The NCPRI’s endeavour is to deepen democracy and achieve Constitutional principles through the use of the RTI. Transparency and enforcing accountability facilitates the participation of people in a democracy. This right seeks to empower people to fight corruption and social apathy, to make governments and other public agencies and institutions which impact public welfare, accountable to the people.